Korean beauty goodies are all the rage. I mean, have you seen Korean girls' skin? Flawless! Good genes also play a role however, that's one market that is obsessed with flawless, porcelain, blemish-free youthful skin. Beauty products with seaweed made a huge splash in the US and European market and almost every third girl I knew was either using Korean beauty products or talking about purchasing them. Isn't it grand when you have access to these products in UAE? 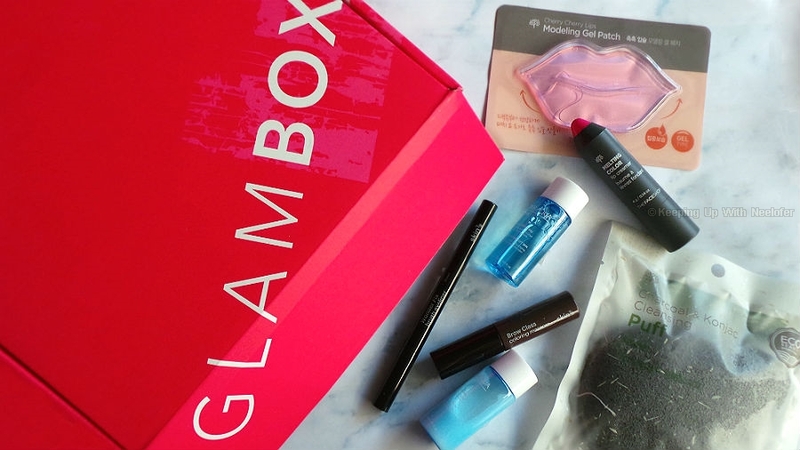 And isn't it even more grand when it comes in a pretty box entitled Glambox? 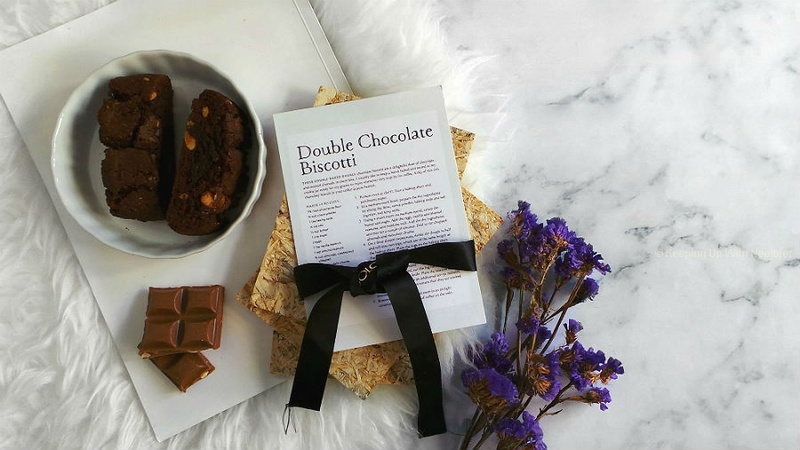 The month of Sept welcomes goodies that are quite exciting to discover and try. The best part? These products are available in stores located in the UAE, so you really don't have to bother about ordering online and the delivery time. The Face Shop's Melting Color Lip Creamer- this so screams anime. The lipstick shade is a vibrant pink, heavily pigmented and may not quite suit dusky tones (in my opinion). Glides on like a light-weight cream but one swipe does not pass the food & drink test. You'll have to reapply; beautiful color, nonetheless. Cherry Cherry Lips Modeling Gel Patch- if you experience dry/cracker lips, this one's for you. It claims to lock in moisture and keep lips hydrated. The only drawback is that the size of the patch is...well, oversized. It will slip off your face if your head is not in a resting/sleeping position. Skin79's Wonder Eye Brush Eyeliner- this is perfect for those who struggle with liquid liners in order to get that perfect cat eye. Use this for more precision. It's also waterproof, so ditch the standard makeup remover and use an oil-based on to remove any traces of the product. Skin 79's Brow Class Coloring Mascara- all thanks to Cara Delevigne, fuller eyebrows is the name of the game. Brush this across your eyebrows as a final touch post make-up. Missha's Super Aqua Ice Tear- not sure why it's named 'Tear' but this cleanser-emulsifier duo are the perfect travel skincare goodies. The cleanser will wipe away all traces of makeup and the emulsifier acts more like a moisturizing serum. They are both quite light-weight and the cleanser contains glacier water that's pretty much infused with minerals. This might be why women in Korea have beautiful skin. Pretty exciting, eh? Sign up before the 14th of September to get your hands on this. You won't regret it!